This roundtable with Françoise Vergès at Le Cube – independent art room takes place during the morning following her conference at the Centre Culturel in Agdal. This roundtable is an open space for dialogue, bringing together artists, curators, historians, researchers, students and citizens to reflect on different points tackled during the conference. The purpose is to discuss together and collectively propose new strategies and research methodologies. This meeting is organized in partnership with l’Institut Français du Maroc, Centre Jacques Berque and the chair Migrations, Mobilities, Cosmopolitsm of the political sciences stream at the Université Internationale de Rabat. 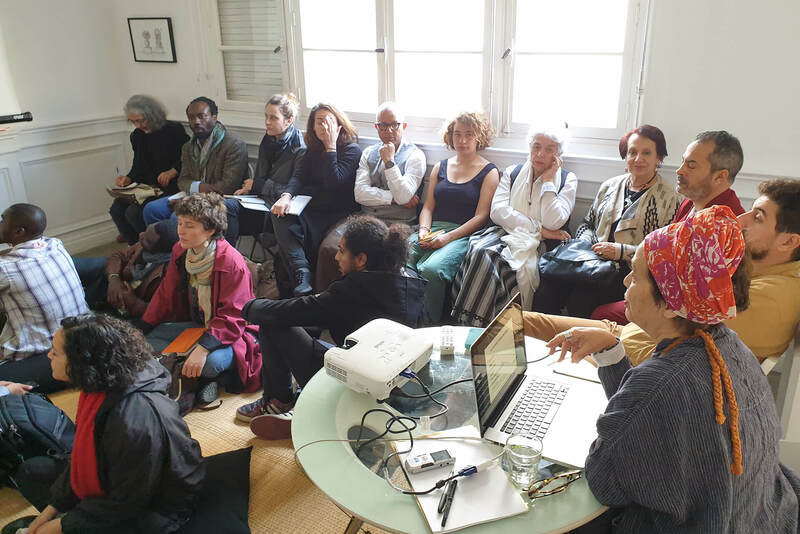 This event is part of travelling narratives, a regional program of art and research, initiated by Le Cube, that aims at encouraging interactions between cultural agents in Morocco, Algeria, Egypt, Mauritania and Libya.